The open_basedir function defines the paths from which PHP is allowed to access files using functions. 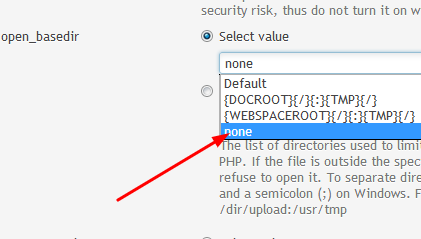 If a file is outside of the paths defined by open_basdir, PHP will refuse to open it in shared web hosting. You can set open_basedir to none to remove this restriction. Modify the open_basedir settings in your hosting account and set them to none. 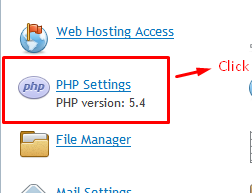 Find the open_basedir setting given under 'PHP Settings' area of your Plesk/cPanel. Set it to 'none' from the drop-down given there. I have shown them in the Plesk panel picture for Windows shared hosting. 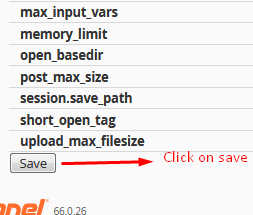 Kindly refer below steps to enable open_basedir from cPanel, Which is the default control panel in our Linux shared hosting. 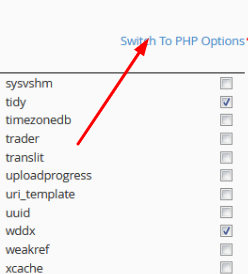 Click on “Switch to PHP Options”.